Experience a deep state of tranquillity to the sound of the gongs and other overtone-emitting instruments. 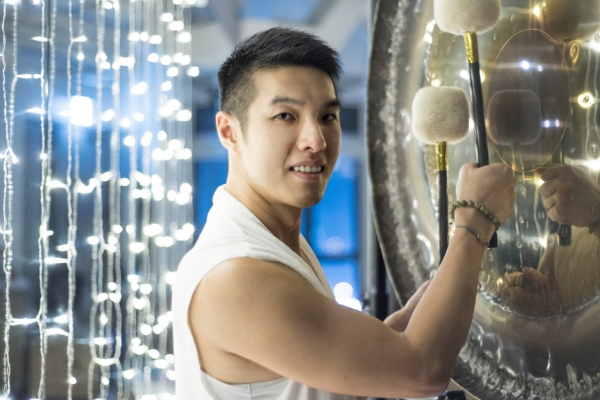 Sound alchemist Malbert Lee offers a unique acoustic mind-body experience that includes breathing exercise, vocal meditation and sound from a variety of sacred instruments that has been in use for healing, cleansing and relaxation. The sound waves will take you on an inner journey, wash away tension in the body and ease the mind. Please bring a yoga mat, eye mask, blanket or shawl. This is an effortless mindfulness practice that is suitable for all.